The 2001 Italian vintage caps off a remarkable string of outstanding vintages for Piedmont that began in 1996. During that relatively brief time period producers gained a great deal of knowledge and experience, both in the vineyard and in the cellar, a positive trend which continues today. In addition, 2001 featured the growing conditions in which Nebbiolo thrives: hot daytime temperatures alternating with cool nights. The favourable weather, along with producers' newfound sense of maturity, combined to produce an extraordinary set of wines. Simply put, for Barolo, 2001 is the most complete of the vintages between 1996 and 2001. These would make an excellent 18 year old wine gift for a birthday or anniversary celebration, and will keep well for years to come. This vintage is characterised by wines that are in a classic style, with high tannic qualities and with fresh acidity and medium body. The weather throughout the growing season was cool and cloudy. A mostly dry September and October allowed the late harvest of a large crop. The wines will be relatively slow to evolve given the relatively good acid and tannin levels. 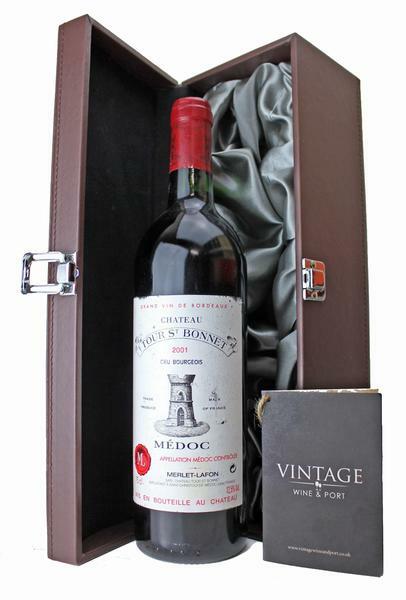 One of the most important Cru Bourgeois of the Medoc. A juicy meaty wine, full of fruit with a pinch of spice & integrated toasted oak. 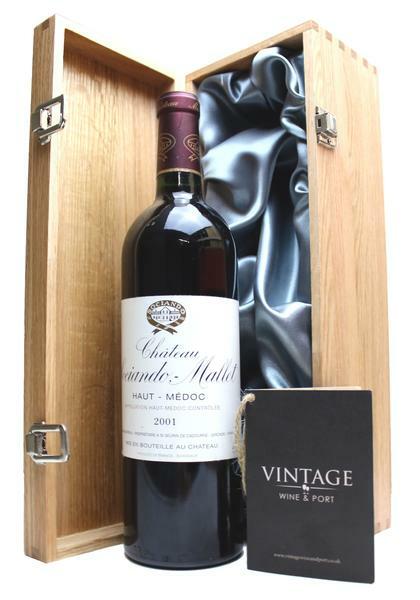 "This Haut-Medoc performed spectacularly on the two occasions I tasted it from bottle, even eclipsing its impressive showing from cask. 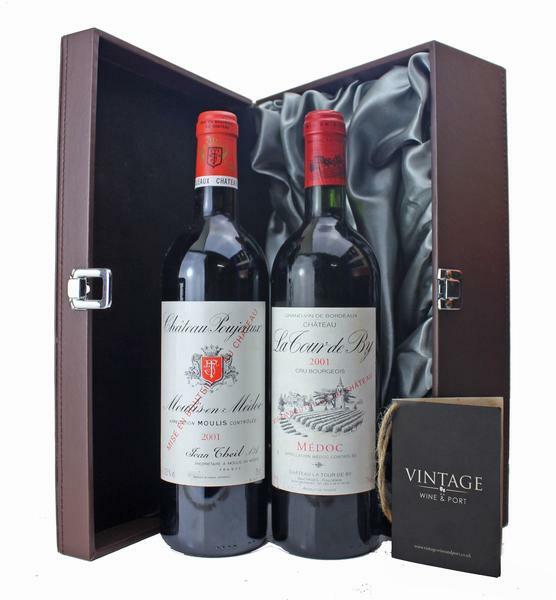 From the excellent 2001 wine vintage, this reliable cru bourgeois estate consistently produces some of the most reliable wine in its class. 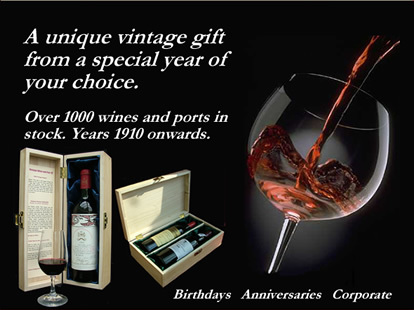 The 2001 is a dark purple-coloured wine with powerful, ripe, earthy, blackcurrant aromas. Good medium ruby-red. Expressive nose combines red cherry, raspberry, minerals and flowers. Minerally and firm, with sound acids giving the flavors good definition. First tasted in May 2002 out of barrel when it displayed a lush, spicy, ripe nose with a tang of orange peel. Another fine bottle in November 2003: a dense ripe nose with a touch of orange peel and anis.